Is Pre-Need Insurance the right plan to cover your funeral expenses? 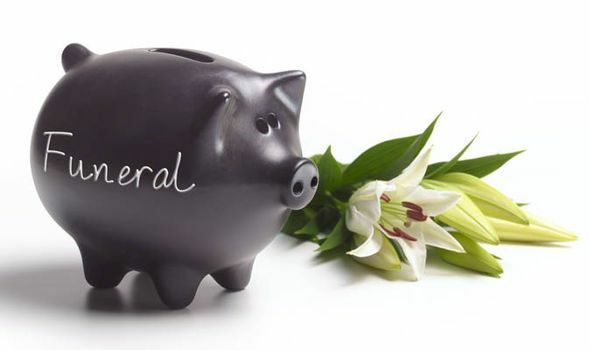 Perhaps , thinking about funeral expenses is not on your priority list. However, more Americans are starting to take care of these arrangements ahead of time. After all, it is easier to pay now in payments than to leave the family with a huge bill to be paid immediately after death. Therefore, planning and paying ahead maybe a smart way to alleviate financial stress for your loved ones. End-of-life planning offers many options today. Perhaps, you agree that Preened insurance is the ideal way to ensure that your final wishes are carried out as you intended. Or maybe you need more information to determine what is best for yo and your family. Read article and learn more about pre-need insurance. Preened is sold through funeral homes, and it is designed specifically to cover funeral services and merchandise selected for an individual’s funeral arrangements. It is important to note that these services are contractually bound to a particular funeral home or a network of a group of them. This means that if your family wanted the funeral in a different area, this plan may not be available. However, If you are positive about these funeral arrangements in your preferred particular location, this could be the ideal solution. This will not only give you peace of mind, but it will allow your loved ones to focus their attention on healing from their loss rather than scrambling to pick out exact goods and services for your funeral arrangements. A Licensed Funeral Director is usually the person who will help you get started with this type of insurance. However, there are pre-need agents and brokers who work independently, and many times they offer more funeral homes choices and plans. Additionally, The agent will guide you when selecting the services and merchandise that will be a part of your preferred funeral. Please note, that there are many details in planning a funeral and it can be overwhelming, but pre-planning is much better than letting your loved ones deal with it in a time of grief. It also advisable to take care of this while you re still healthy and financially able to pay for it. Your family deserves to celebrate your end of life event with peace and love. However, it is important to reiterate that Preened policy only covers what is listed in the good and services contract. This is the reason why is important to review what is paid and what other items need to be purchased like; Cemetery plot, cemetery services, among other expenses. We recommend communicating with your family members about the selected plans or leave behind the terms of the policy with your last will and testament. The funeral director that you work with makes the claim, collects the money and carries out your wishes, so it is important to have the whole family on the same page. This will help mitigate any confusion around exactly what is covered in the wishes you have on file with a local funeral home. What are the Advantages of Pre-Need Insurance? You don’t need to be near the end of your life for a Preneed policy to be an option. Anyone who is eager to relieve their loved ones of difficult choices can purchase a Preneed policy. It is, however, important that you are confident in your wishes for your funeral arrangements. Preneed plans also allow some individuals to lock in today’s prices for most goods and services. This can be a major advantage to save money against the steep inflation of funeral expenses. Some policies will allow for amendments but it is important to discuss the options and terms with the funeral director before solidifying your plans. Preneed plans are as unique as the individuals that they protect. It is always wise to discuss your personal wishes and unique situation with an expert to select the best coverage option for you. What is the Difference Between Pre-Need and Final Expense Insurance? While both options help cover the costs of funeral arrangements, final expense policies only set away funds for arrangements and do not make any decisions on planning. Pre-need insurance policies, on the other hand, cover the specific items that the insured purchases and nothing further. The policy can be paid out in a lump sum or you can stretch it out over time but the cost – or amount allotted to the funeral arrangements – is determined upfront. Some Preneed policies even offer a price guarantee for your selections, which ensures that you pay the current cost of each good or service at the time of purchase. This is a great way to avoid increases in cost due to inflation that could leave your loved ones feeling duped. Recently, more final expense companies are offering funeral planning and funeral assistance services when you purchase a policy from them. While they cannot guarantee prices for merchandise in the future, these organizations can help you shop, compare, and locate funeral homes and cemeteries. This could mean substantial discounts on the final funeral costs, and it will help with stretching the final expense insurance dollars in the future.Also, because the insurance policy is independent from any funeral home, the beneficiary has full control of the cash benefit, and she or he can decide to use part of all of the funds. This allows the family to use the excess funds for other final expense obligations.